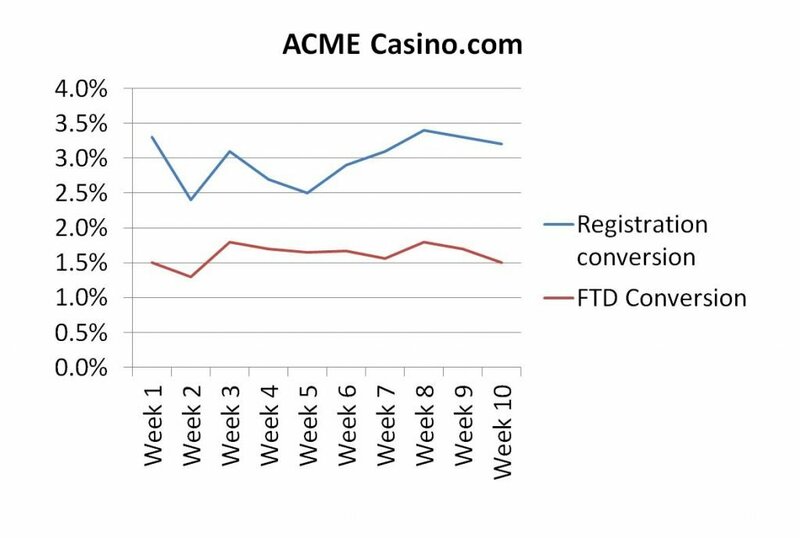 First-time deposit (FTD) conversion is a widely used acquisition metric in the online gambling industry. It is normally calculated by dividing the number unique visitors by the number of first time deposits. The value of the first time deposit and second deposit (if there is one) is a strong indication of the potential life time value of a customer. However, first time deposit conversion rates for gaming companies can be very low, in some case less than 1%. This means acquisition costs for casino in particular can run into the hundreds of pounds for each player. Some affiliates will charge in excess of $300 per real money player (RMP). Companies therefore prefer to attract new customers though PPC and organic campaigns (SEO) by offering large deposit bonuses to attract VIP players. In addition, some sites offer a cash free bonus for new customers and so first time deposit numbers can be artificially boosted by these kinds of promotions. If possible avoid including free cash bonuses in your FTD figures and measure RMPs instead. 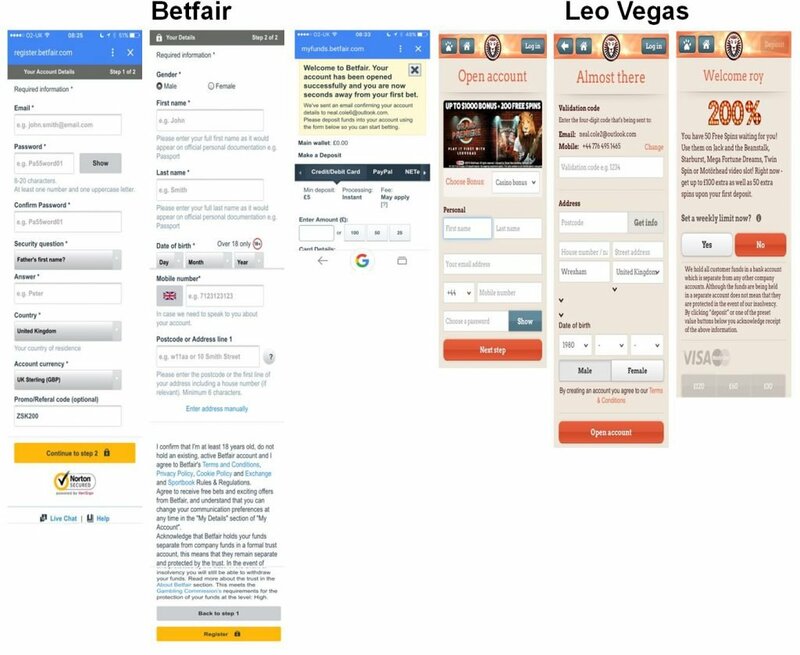 Low conversion rates make it difficult to conduct A/B tests on many gambling sites as it can potentially take months for a test to build up sufficient conversions for a conclusive result. Such sites should concentrate on fixing their user experience as this is more likely to improve their conversion rate. Due to low FTD conversion some sites attempt to optimise for micro-conversions (e.g. registrations) when conducting A/B tests. This does however make it difficult to estimate return on investments levels for A/B testing tools. The danger here is that some sites end up optimising for clicks on the call-to-action (CTA) button. This is not recommended as clicks on a CTA are meaningless when it comes to increasing FTDs and revenues. Always measure the impact of a test on FTDs and revenues as if you don’t see an improvement in these metrics it is likely the new experience is not having the desired effect. Some companies also use third-party platforms for their sites, which in some cases are also competitors. This means that such companies may have to rely on analytics reporting from the platform provider and may not have full control over key points in the customer journey (e.g. registration form). As a result these companies may have limited ability to A/B test to improve FTD conversion. Reducing friction on the registration process is a key way to optimise first-time deposit conversion. Use form design best practices to improve the user experience and encourage users to open an account. For gambling sites there are also some unique challenges due to the nature of regulations. This is often given as a reason why registration forms on gambling sites are so poor. This is just an excuse as regulations don’t prevent companies from improving their account opening process. Gambling companies often use the average value of a first time deposit as a key performance indicator. Avoid using the average value as there is no such things as an average customer and the average is skewed by a small number of VIP players who deposit very large amounts. From my analysis of first time deposit values for a number of gambling sites I found that the vast majority of customers (including players who later became a VIP) only deposited the minimum amount for their first deposit (e.g. £10). Despite this data many gambling companies pay too much attention to VIP players because they often generate a high proportion of gross gambling revenues. However, what managers often fail to appreciate is that VIPs are survivors of a process and they are not a fixed pool of players. Rather they are a fluid group and players are constantly moving between different value segments. For this reason it is important not to optimise a site for VIPs. Instead companies should seek to use personalisation to target different customer segments and avoid being obsessed with VIP players. 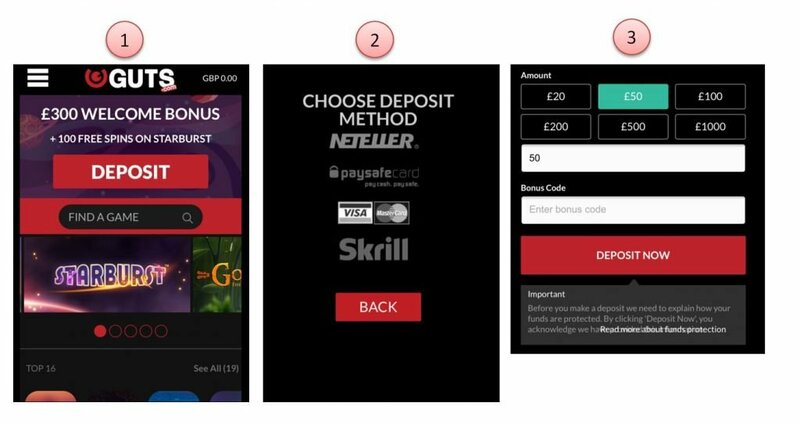 For more details of some of the challenges around welcome bonuses read my post Secrets of optimising gambling sites – Bonuses. 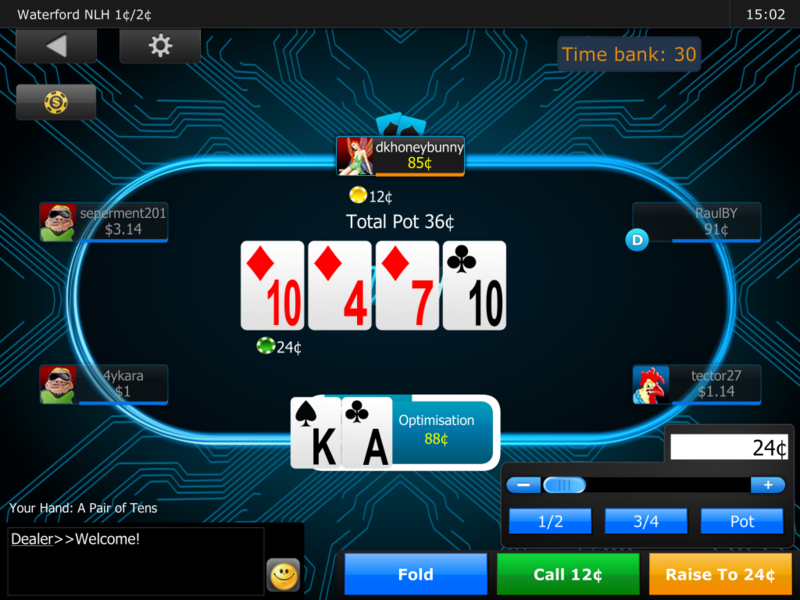 Poker and conversion – How can playing poker boost your conversion rate?